Fully Lined Drawstring Butterfly Toy Bag. Turquoise, Aqua, Purple & Green. 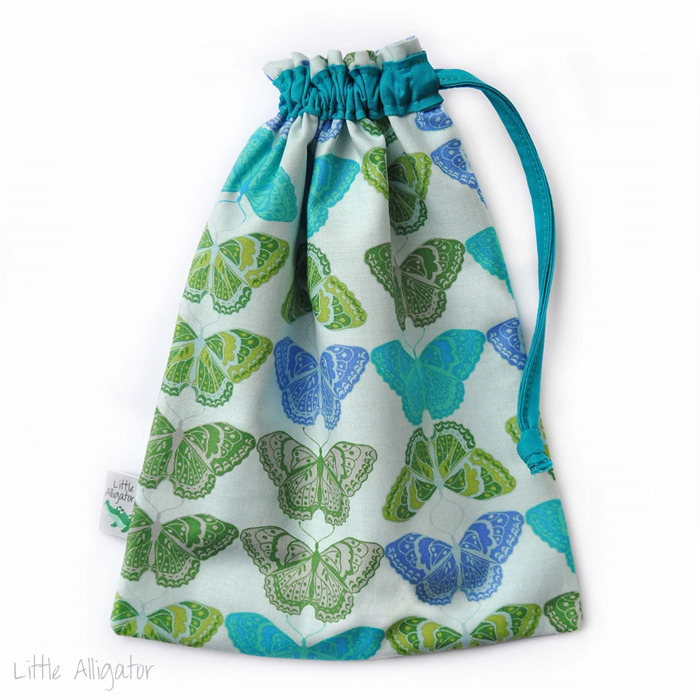 Girls will love carrying around this gorgeous little drawstring toy bag. 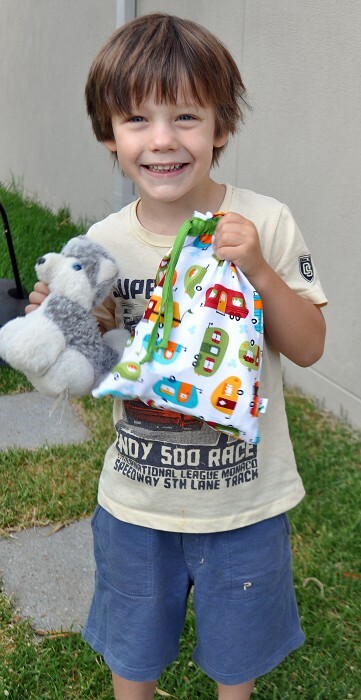 They can fill it up with favourite small dolls, animals, colouring in gear and other special treasures. It's so durable and fits more than you would think! Not just for little kids! Mums and young girls can use these in their bags or school bags to keep make up, keys, phone in one handy spot. Some travel hairdryers/straighteners fit too! So many options. The bag has been carefully made with a 100% cotton quilting fabric exterior (Valori Wells, Cocoon, Cashmere in Sapphire) and fully lined with white cotton. * Please note that the third photo is an example of the interior of each bag. The bag for purchase is shown in the first photo.